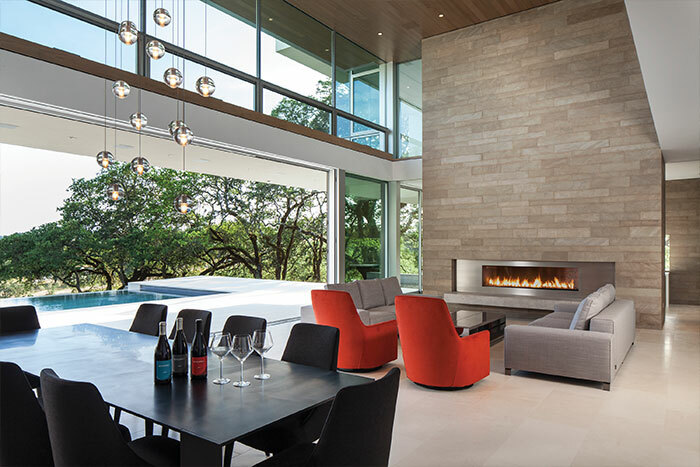 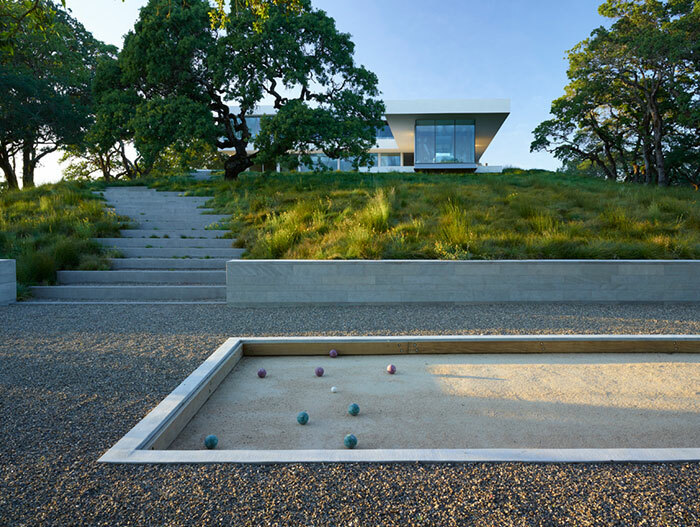 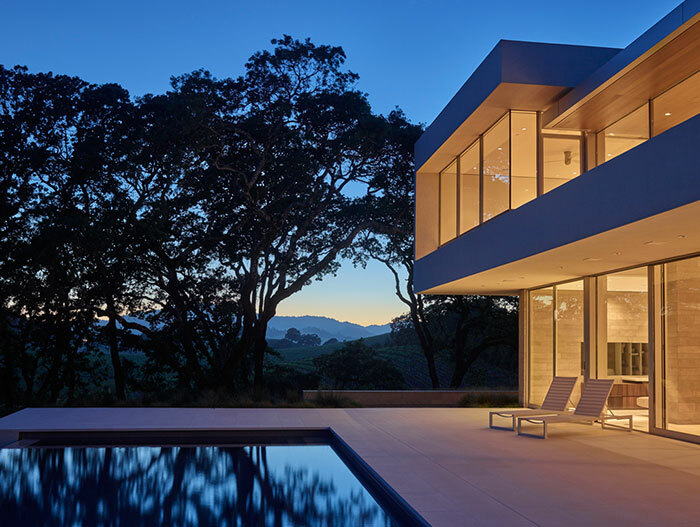 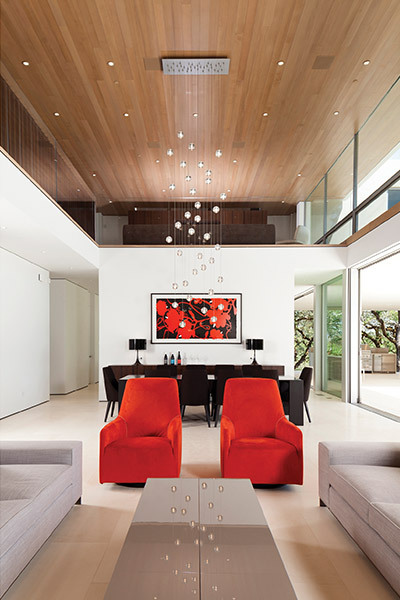 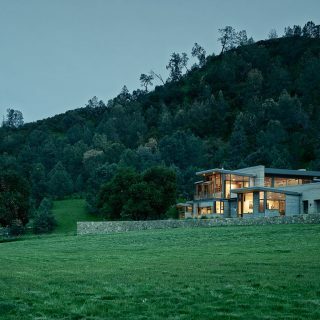 Located in Windsor, California, this modern family home designed by Swatt Miers Architects is built on a a 20-acre plot in the Russian River Valley, known as Retrospect Vineyards. 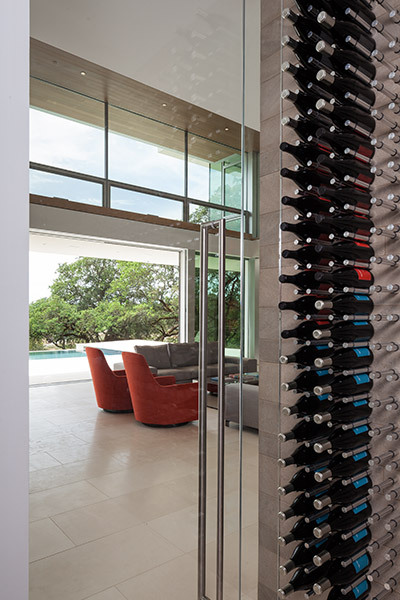 When the new owners bought the property, they wanted to have a greater involvement in the winemaking process. 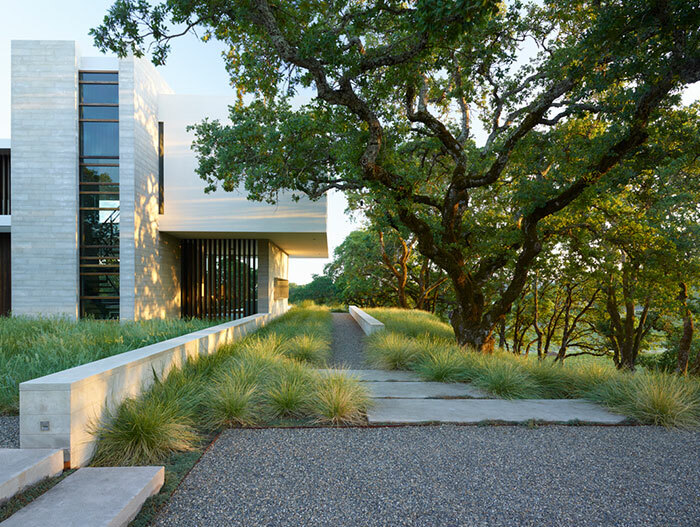 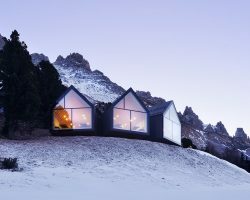 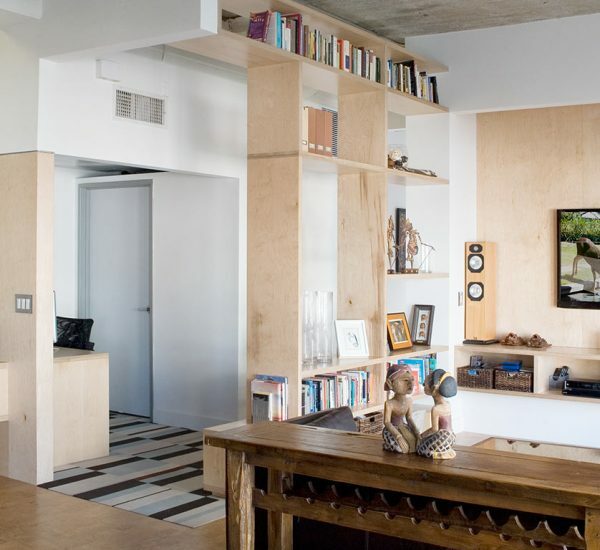 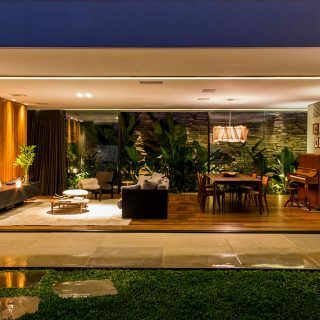 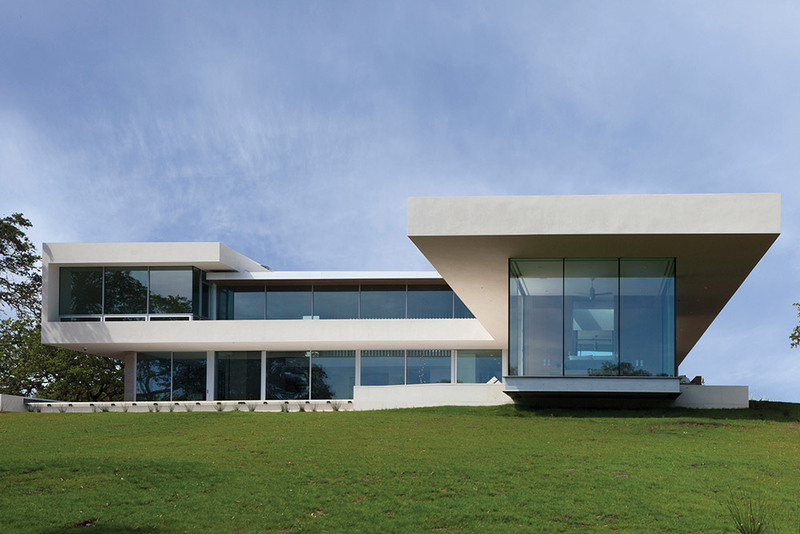 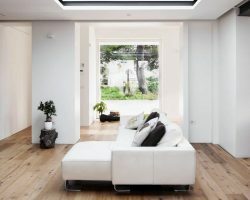 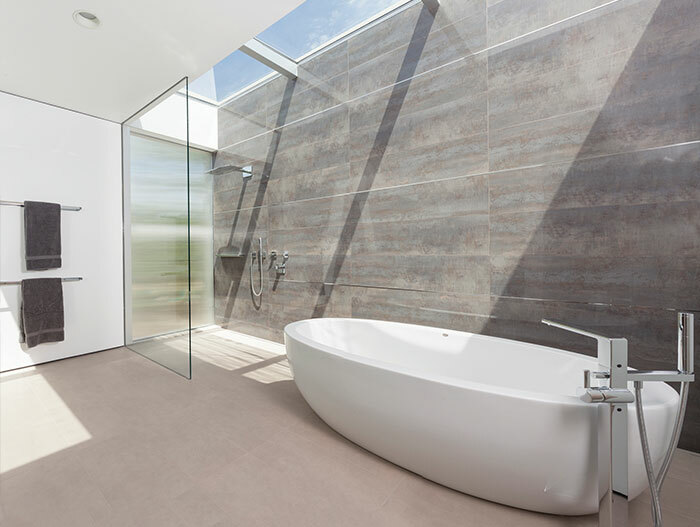 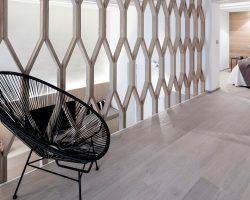 The result was a modern home designed to function as a family retreat and as a working vineyard. 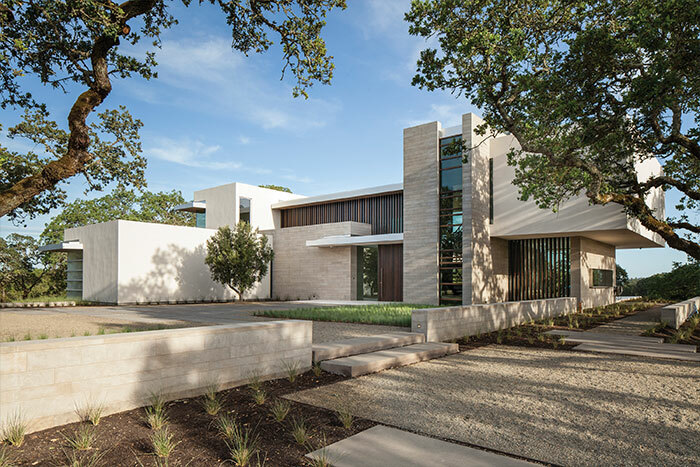 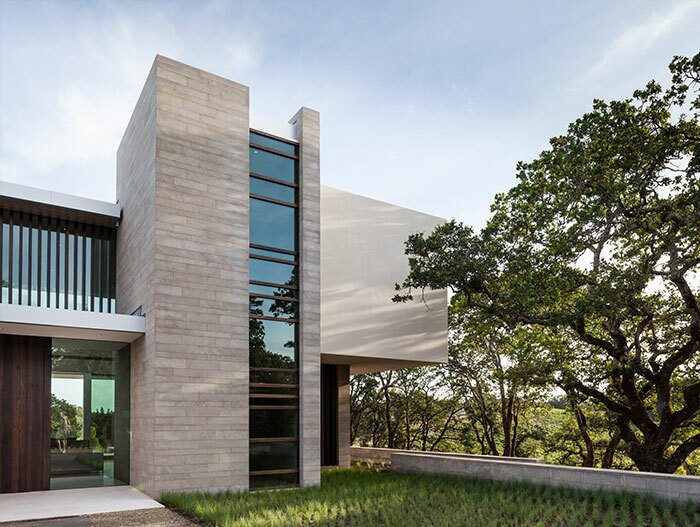 This modern Californian home was designed in a T-shaped plan, creating a relatively opaque and private entry courtyard on the north side. 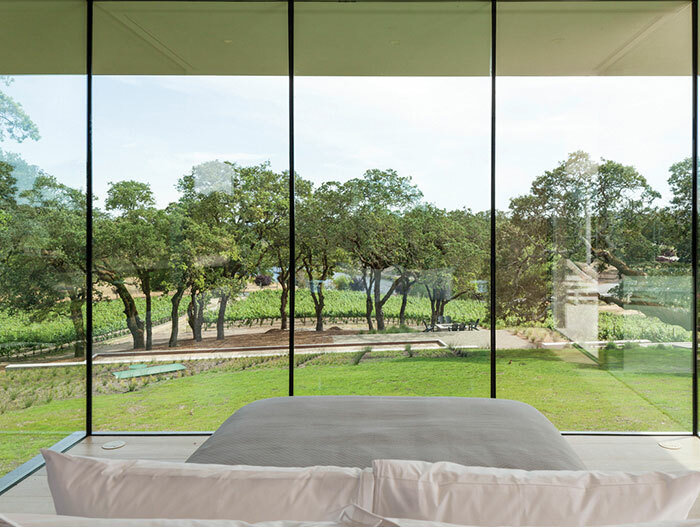 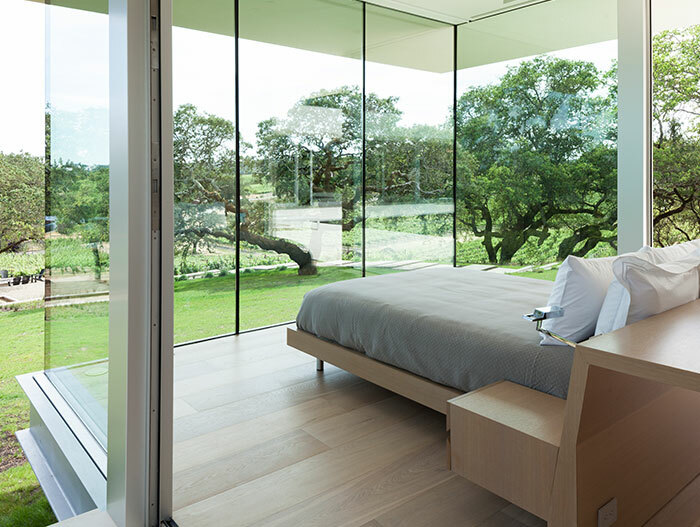 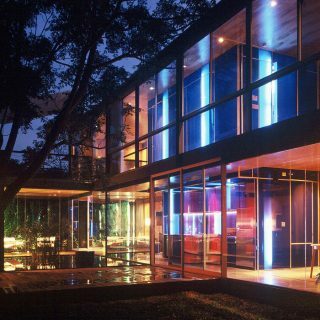 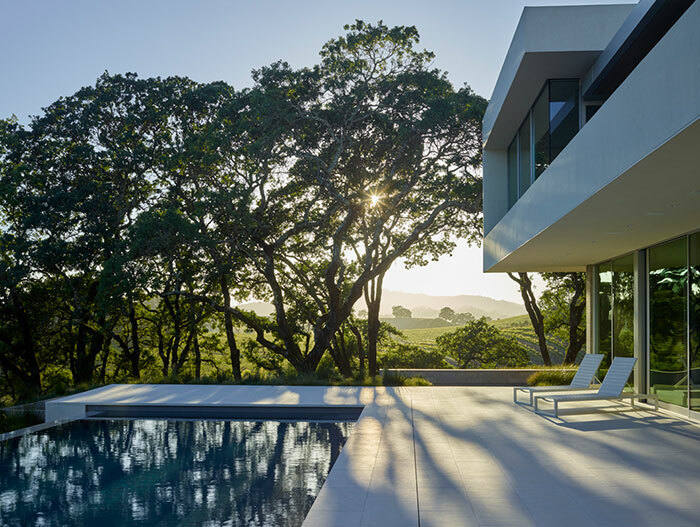 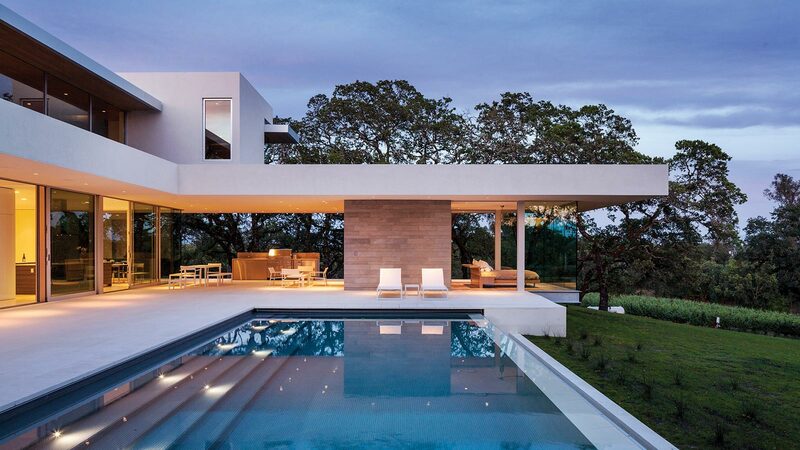 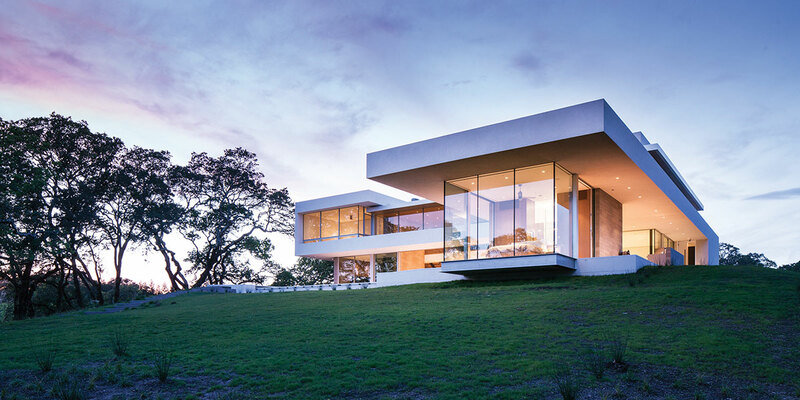 In contrast, the south side of the house is all glass, including large sliding glass doors that open the interior spaces to an expansive swimming pool terrace, overlooking the vineyards below. 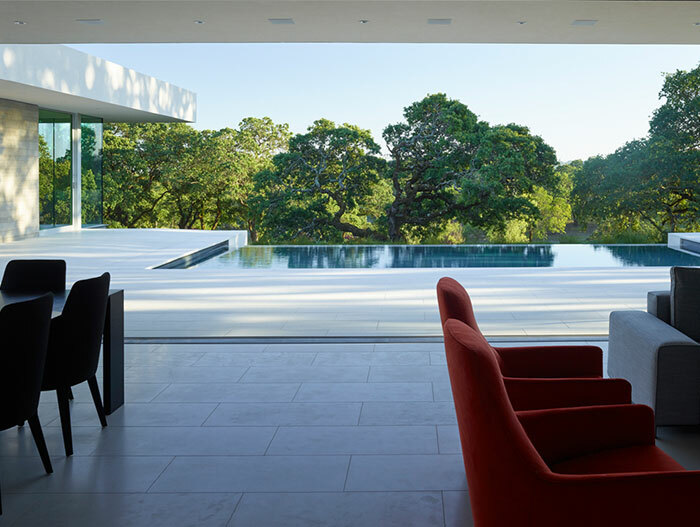 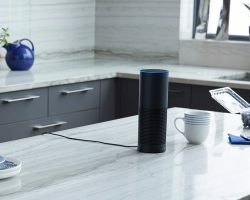 Below, the kitchen and office both open up to the pool terrace, and in the great room a twenty-one-foot wide span of full-height sliding glass doors seamlessly extends the living space out onto the pool terrace.